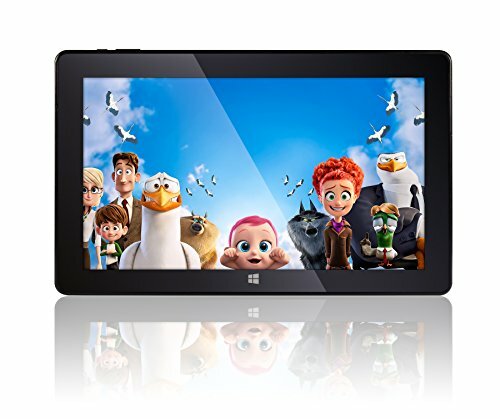 ULTRA SLIM - ULTRA STYLISH - this Windows 10 tablet PC, with its 11.6'' is great for watching movies, surfing the web, work and study. Windows tablet surface for plush user experience. AWESOME STORAGE SPACE & POWER - with its Intel Quad-Core Processor, Full HD screen, 2 GB RAM & 32GB Storage and Bluetooth 4.0 - it's a little pocket dynamo! And of course....12 MONTHS UK WARRANTY AT UK SERVICE CENTRE'S! Just bring in your Windows tablet computer!